Maria is a speech language pathologist at Sisskin Stuttering Center and Montgomery County Public Schools. 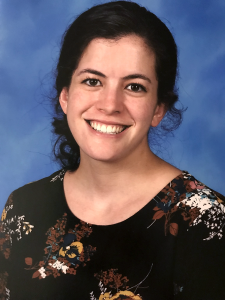 Maria grew up in Maryland and attended the University of Maryland where she earned her bachelor’s degree in Psychology and Spanish and her master’s degree in Speech Language Pathology. During this master’s program she was trained in Avoidance Reduction Therapy for Stuttering. She is a licensed clinical fellow in Maryland and Virginia. Maria is fluent in Spanish and has experience conducting bilingual Spanish-English diagnostic evaluations and treatment sessions. Her experience also includes working with children with autism, and adults and children who stutter in both individual and group settings. She is passionate about working with people who stutter to help them find their most powerful and comfortable communication style.